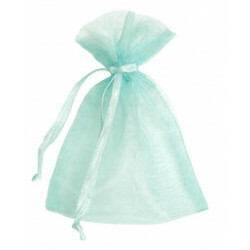 16 stock colours of Organza Bags in various bag sizes available from Midpac Packaging. 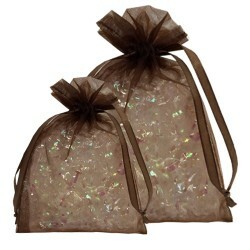 Our bags are made from beautiful Organza fabric with a matching satin ribbon draw tie at the top of the bag. 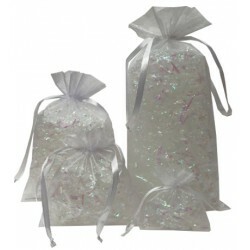 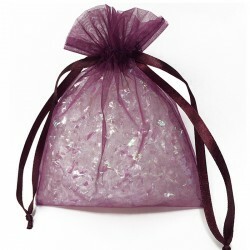 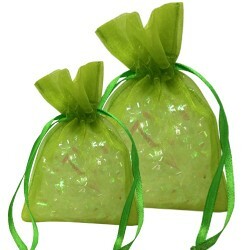 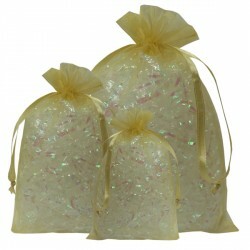 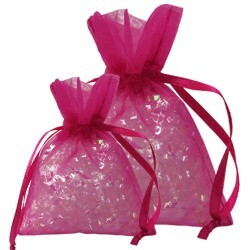 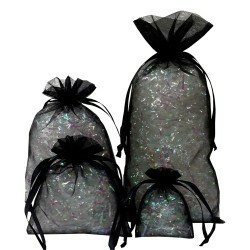 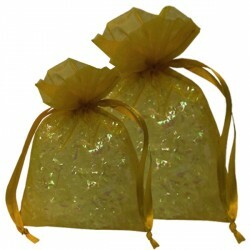 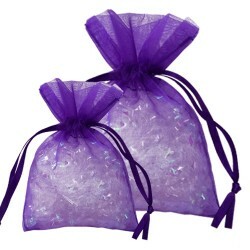 Organza Bags make perfect Wedding Favour Bags or gift bags. 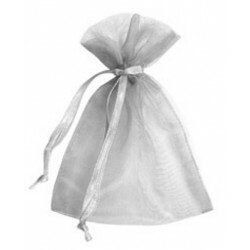 If you are unable to find the colour or size of bag required, please contact the Midpac team on Coventry 024 7647 3647 or email sales@midpac.co.uk to discuss your requirements further. 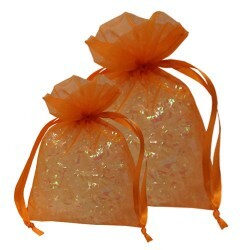 White Organza Bags Sold per pack of 10 bags 4 sizes to select from ..
Chocolate Organza Bags Sold per pack of 10 bagsFitted with matching satin ribbon tie Id..
Lime Organza Bags Sold per pack of 10 bagsFitted with matching satin ribbon tie Ideal as weddi..
Orange Organza BagsSold per pack of 10 bagsFitted with matching satin ribbon tieIdeal as wedding fav.. 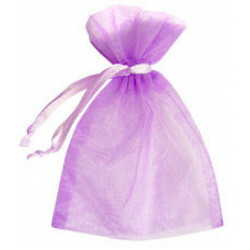 Plum Organza BagsSold per pack of 10 bagsFitted with matching satin ribbon tieIdeal as wedding favou..
Purple Organza BagsSold per pack of 10 bagsFitted with matching satin ribbon tie Ideal as wedding..
Red Organza Bags Sold per pack of 10 bags 3 sizes to select from Fitted with .. 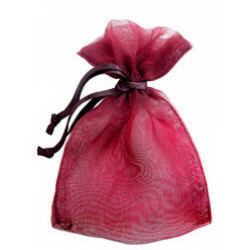 Shocking Pink Organza Bags Sold per pack of 10 bagsFitted with matching satin ribbon tie Ideal..
Aqua Organza Bags Sold per pack of 10 bags 2 sizes to select from Fitted with..
Black Organza Bags Sold per pack of 10 bags 4 sizes to select from Fitted wit..
Ivory Organza Bags Sold per pack of 10 bags 4 sizes to select from ..
Lilac Organza Bags Sold per pack of 10 bags 2 sizes to select from .. 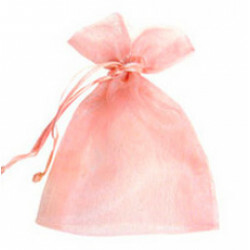 Pastel Pink Organza Bags Sold per pack of 10 bags 2 sizes to select from Fitt..
Rustic Red Organza Bags Sold per pack of 10 bags 4 sizes to select from Fitte..
Silver Organza Bags Sold per pack of 10 bags 2 sizes to select from Fitted wi..
Gold Organza Bags Sold per pack of 10 bags Fitted with matching satin ribbon..